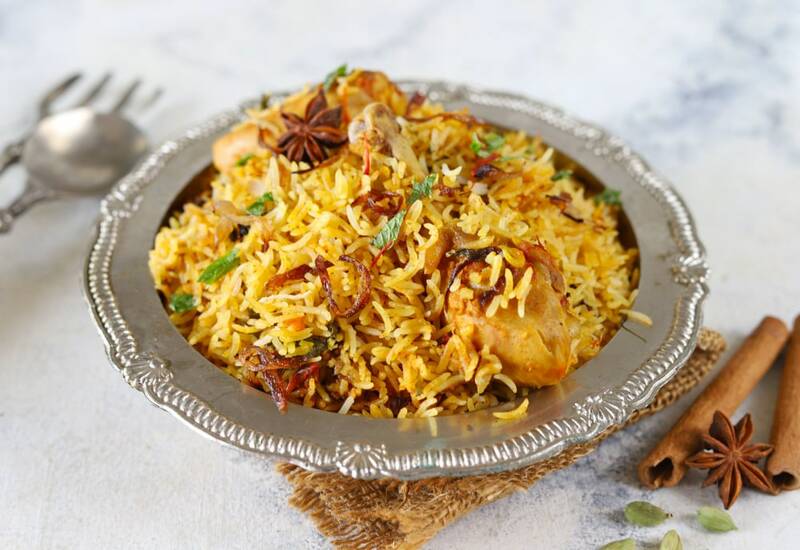 Chicken Biryani is an ultimate one-pot chicken casserole. It is perfect for large gatherings or family feast. Making a chicken biryani in the pressure cooker not only saves lot of time but also biryani is evenly cooked. Even on busy weeknights a chicken biryani meal cooks in less than 20 minutes if you prep the ingredients beforehand! Serve Chicken Biryani with yogurt and salad of your choice. Substitute 1 cup coconut milk mixed with 1 teaspoon cornstarch for the yogurt and coconut milk for the milk for a dairy-free version. Per Serving: 876 calories; 36g fat; 72.7g carbohydrates; 69g protein; 317mg cholesterol; 1302mg sodium.